Thirty five years of experience handling complex personal injury auto accident and truck wreck cases on behalf of injured victims. Millions and millions of dollars in claims settlements and verdicts since 1975. Licensed in Florida and Texas. 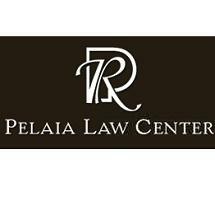 The Pelaia Law Center is located at two great east Texas locations; 133 East Tyler, Street in downtown Longview, and 407 West Tyler Street in Gilmer Texas. We are a law "boutique" focusing on individual needs by communicating directly and frequently with our clients'. The Pelaia Law center also operates under a joint venture agreement with the San Antonio law firm, of Heard and Smith, we are the North East Texas representatives for this firm, handling exclusively social security disability claims, including the initial filing for these claims and the appeals when individuals are turned down for benefits. Heard and Smith specializes in social security cases and has handled thousands of disability claims over the last thirty five years. We use "state of the art" computer technology in handling these claims on an expedited basis.